Gear vector mechanism icons isolated illustration. 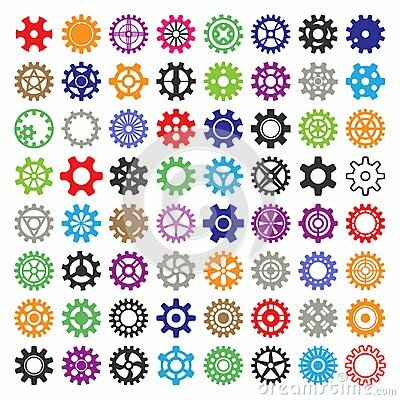 Mechanics web development shape work cog multicolor gear sign. Engine wheel equipment machinery element. Circle turning technical tool.